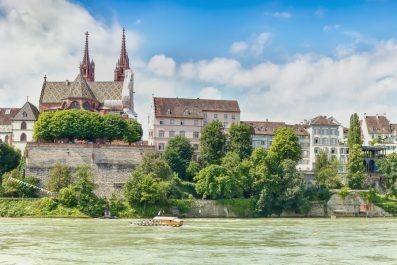 Planning a trip to Switzerland and looking for cities to add to your travel itinerary? You can consider Geneva, one of the most alluring cities in Switzerland. 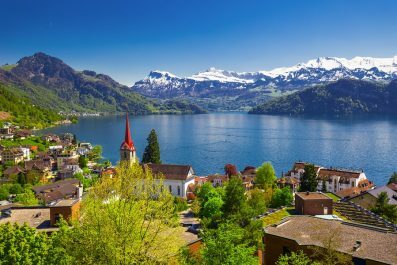 Known for its stunning views of the Swiss Alps and the gorgeous Lake Geneva, the city is also home to international organizations such as the United Nations and the World Health Organization. Our suggested itinerary is designed to show you the best the city has to offer and what are the things you can accomplish in 3 days. Depending on your interests and travel priorities, you can certainly mix and match destinations, activities, and attractions. 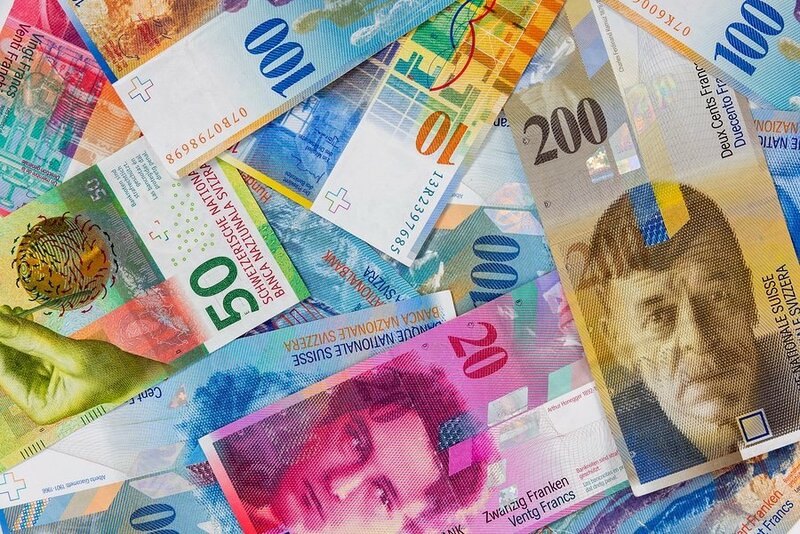 Money and costs – Switzerland is an expensive destination. Those amazing transportation options, meals, hotels and attractions come at a cost. Once you get there, expect your hotel to cost you an average of USD 200 per night and that cheap pizza at a restaurant will cost you USD 30. So before you get on that plane make sure you packed enough cash and budget accordingly so your trip doesn’t cost more than expected. After all, Geneva holds the record of the most expensive hotel suite in the world thanks to the Royal Penthouse Suite of Hotel President Wilson (12 bedrooms, bullet proof windows, chauffeured Royce Rolls and the ability the transform the entire Penthouse floor of the hotel into a panic room, defenitely comes at a price… 82,000 USD to be exact). Getting around – Being a relatively small city, Geneva can be easily explored on foot or on a bicycle. You can either bike on your own or you can join one of the guided biking tours offered in the city. 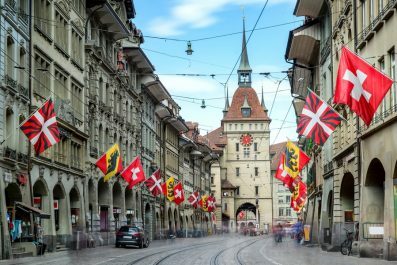 Also, traveling using public transportation in Geneva is relatively easy as all roads are well-maintained and the public transport system is one of Europe’s finest. If you stay in a hotel, hostel or a campsite within the canton of Geneva, then you will qualify for a free Geneva Transport Card, which provides free use of the public transportation system of the city for the whole duration of your stay. How to get one? Just ask at the reception of your hotel when you check-in. 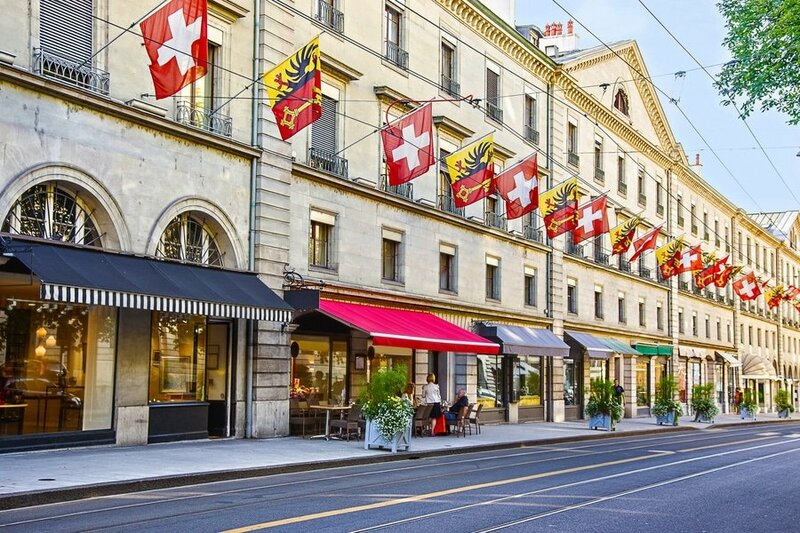 Where to stay – Geneva has some of the best youth hostels and luxury hotels ideally nestled in the heart of the city. The most frequently asked question from first time travelers is, “What’s the best area to stay in when visiting Geneva?” If you are going to follow our suggested itinerary, we recommend a hotel/hostel in the center of the Old Town since all of the main sights are so close to each other and can be easily reached on foot. Today starts your adventure in Geneva! Check into your chosen accommodation where you will be staying for three days. Then, set out this morning to see some of the most beautiful attractions in the city. 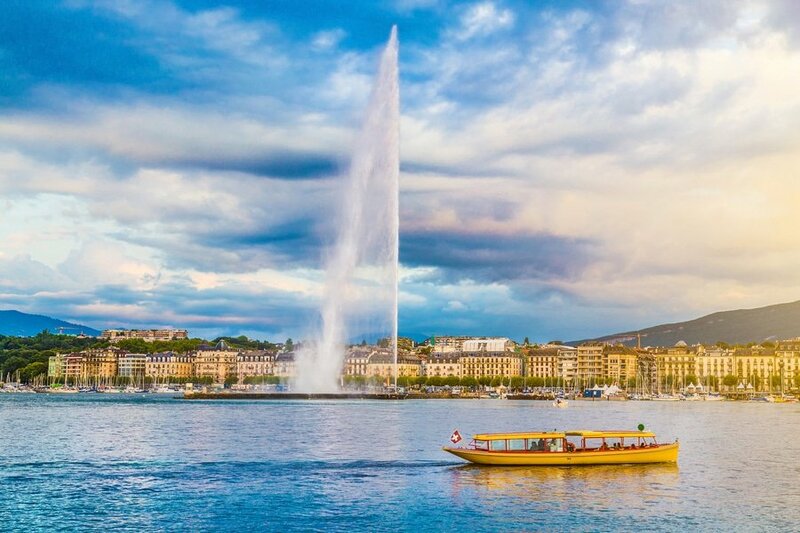 There is no better way to get acquainted in the city than visiting Lake Geneva and its Jet d’Eau, one of the tallest water fountains in the world. If you don’t mind getting wet a little, then you may walk around the fountain to get a closer look. From here, you can also visit Jardin Anglais, an English-style urban park at the foot of the Mont Blanc Bridge. 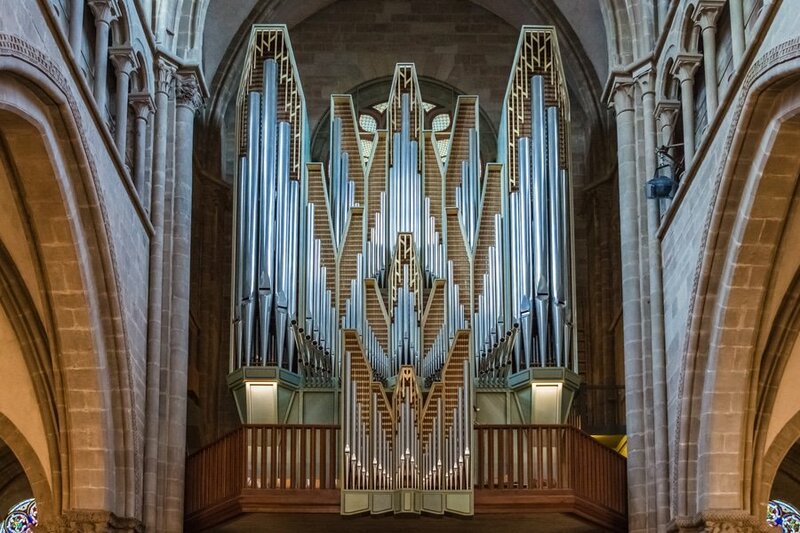 Before you go for lunch, do not miss to visit Cathedrale de St-Pierre, one of the oldest churches in Switzerland. In the afternoon, wander around the lovely Place Neuve, the cultural heart of Geneva and is one of the main squares of the city. It is a great place to people watch and do some shopping. Then, end the day with a quiet walk back to Lake Geneva. After dinner, head back to your chosen hotel and sleep early for your tour the next day. 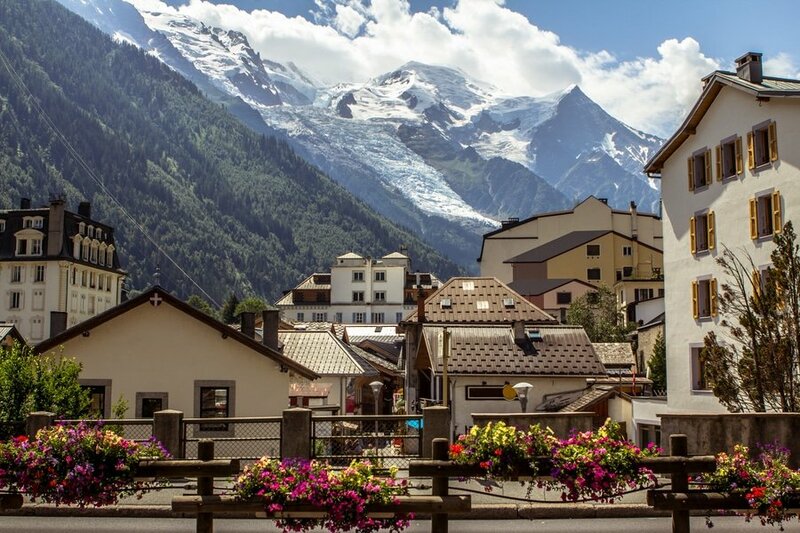 For the second day, embark on one of the most interesting day trips from Geneva by joining a full day tour of Chamonix and Mont Blanc. You will have an opportunity to take a scenic railway ride for stunning views of the iconic Alps. You will also have enough time in the summit to marvel at the views and enjoy the cool mountain air. Your final day in the city can be spent on last-minute shopping and seeing those Geneva attractions that you haven’t yet had time for. 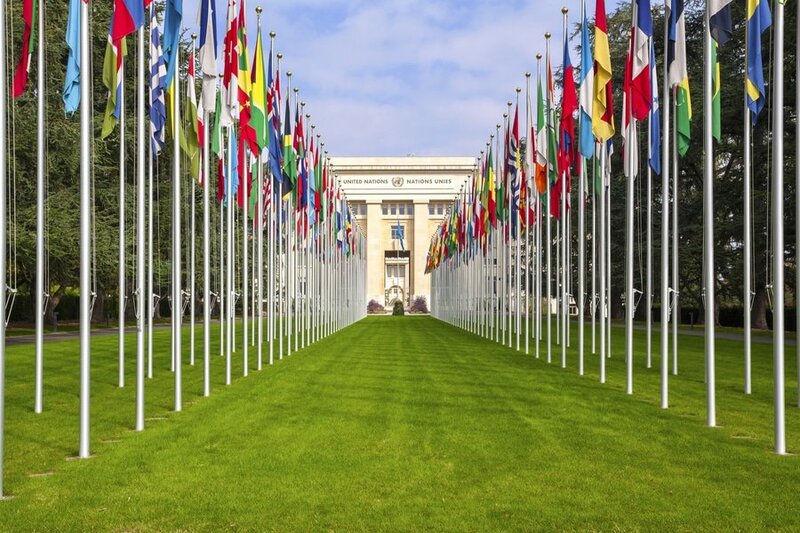 You may also dedicate this day to Palais des Nations, the headquarters of the United Nations Office at Geneva (UNOG). Aside from its vast array of works of art, Palais des Nations itself has a magnificent architecture with an equally interesting history. It was was built between 1929 and 1938 as the headquarters of the League of Nations but in 1946 became the office of the United Nations even though Switzerland did not join the UN until 2002. 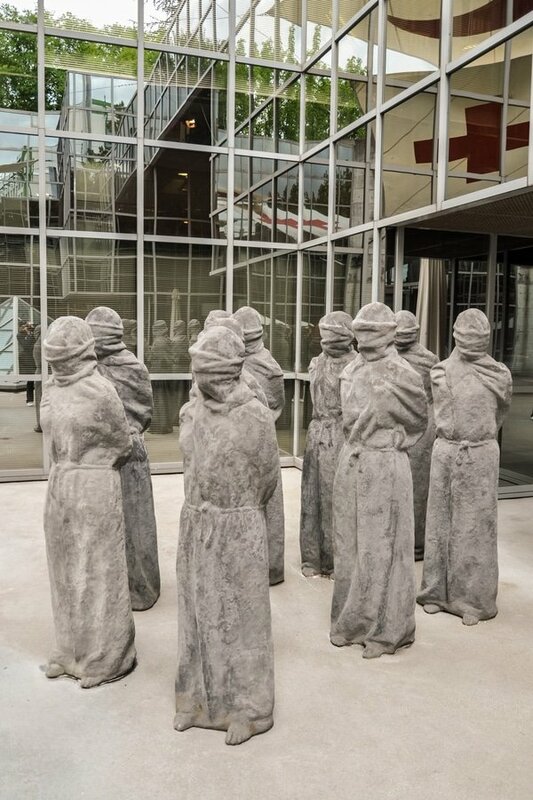 If you still have time, you may also visit the International Red Cross and Red Crescent Museum. Head back to your hotel, then to the airport in time to check in for your international flight, or you may opt to continue traveling independently in Switzerland, or extend your stay in Geneva. Make sure to stock up on Gruyère cheese and Swiss chocolates before you go! This is the end of our 3-day suggested itinerary. Remember, this is just a guide for planning and is in no way, shape or form, the only way to travel the city. There are several alternative routes of travel within the city and it will depend on your intended length of stay. Enjoy Geneva! Have you been to Geneva or anywhere else in Switzerland? Do you have any tips or suggestions to share? If so, you can leave your comments below.